Mazda's new CX-3 is a compact crossover SUV that provides exceptional driving dynamics, along with low running costs, bold styling and a wealth of driver-convenience technology. Its combination of prestigious looks and practicality make it ideal for both company car drivers and private customers. The CX-3's striking appearance follows the KODO: Soul of Motion design language found on all recent Mazda models. Muscular haunches and a forward-leaning stance define the styling theme and reflect the model's athletic performance. The interior borrows from the compact Mazda2 by including a simple and intuitive dashboard plus generous space for passengers. A high ride height gives you an excellent view of the road, and all of the car's functions are within easy reach from this position. 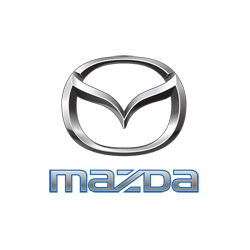 MZD-Connect – Mazda's advanced infotainment system – incorporates a variety of these features and enables you to command them via a dashboard-mounted colour display. Audio, communication and navigation are all included, with buttons on the steering wheel allowing your focus to stay fixed on the road. Drive is delivered by a choice of diesel or petrol engines, all of which benefit from Mazda's revolutionary SKYACTIV Technology. The innovation influences the engine, chassis, and body to help deliver excellent efficiency and low emissions without hindering the vehicle's responsive acceleration. An exciting drive can therefore be enjoyed with the satisfaction of knowing running costs will be low. The SKYACTIV-Body is not only lightweight but also ultra-strong to protect occupants superbly well inside the new Mazda CX-3. It's joined by i-ACTIVESENSE, a suite of active technologies that recognise potential hazards and help you to avoid them. Contact the helpful team at Croydon Mazda today for further information about the CX-3, or to book a test drive.